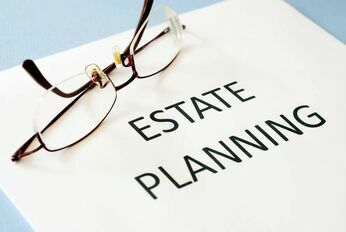 We handle a very wide variety of estate planning needs. If you don’t have an estate plan, the IRS and the State of Texas will control how your assets are distributed after you pass away. The government has no interest in minimizing estate taxes, cutting estate settlement costs, or making sure your wishes are honored. Quite the opposite, actually. Furthermore, with a properly designed and implemented plan of your own, you will control who is able to make financial and healthcare decisions on your behalf if you become incapacitated or are in an end-of-life situation. Without a plan, someone might petition the court for control of your assets, medical care and other matters - someone you would never have wanted to make critical decisions for you. As Texas estate planning attorneys, Rowe Law Firm takes a highly personal approach to estate planning. For example, we devote the necessary time to gain a thorough understanding of your particular goals and concerns. We will also explain all of your options in clear, easy to understand language. Only when we fully understand your unique situation, and you understand the options available to you, do we design a customized plan – one capable of addressing all of your needs and achieving your most important goals. At Rowe Law Firm, we are dedicated to making sure your plan will work the way it was intended over time. This is why we offer a comprehensive maintenance program to all of our clients. By enrolling in this program, you will receive an annual review of your plan that takes into account changes to your family situation, your income and asset level, your health, and changes to the law itself. This program enables you to take advantage of significant savings over the costs associated with making changes to your plan in a piecemeal fashion. It also provides you and your family with the peace of mind that comes from knowing your plan will work the way it is intended when you and your family need it most. Did you know that there are more lawsuits filed in the United States every year than in the rest of the world combined? Clearly, we live in a highly litigious society, and when a particular lawsuit seems frivolous, even absurd, you can never be certain what a jury or judge will decide. Little wonder, then, that asset protection is one of the fastest growing areas of estate planning law. For your comprehensive plan to be effective, it is vital to have a well-designed asset protection component. It must protect you and your spouse from predators and creditors while you are alive. It must protect your children’s inheritance against creditors and predators after you and your spouse pass away. The latter can involve issues such as ensuring your child’s inheritance is safe in the event of divorce and/or remarriage. This is no idle threat when you consider that approximately half of all marriages in the United States end in divorce. In addition, your grandchildren might need protection to ensure that they receive their inheritances if your child passes away and your daughter-in-law or son-in-law remarries. Sadly, your children might need protection from their own poor decisions, or if they are responsible enough to manage an inheritance themselves. Our Texas asset protection lawyers at Rowe Law Firm can use a wide range of strategies and legal tools to protect your assets for your enjoyment today and in the future, as well as protect the inheritances you leave to your children. To learn more, contact us today to schedule a consultation. The loss of a loved one is difficult enough without the additional stress of making decisions about the decedent’s estate that can impact you and your family for years to come. If you have been called upon to oversee the administration of the estate and its trusts, chances are you are wondering what is involved. ‍‍‍Furthermore, strategies and tools to minimize taxes may be overlooked, and there could be confusion over which beneficiaries are entitled to specific assets. All of this can lead to unnecessary expense, costly disputes, litigation, family infighting, and other catastrophic financial and interpersonal problems. While many families take advantage of effective estate planning to avoid the expense, time, and frustration of probate, it is not always possible to avoid probate. Cain Rowe Law Firm offers experience, compassion, and skill to help you through the probate process quickly and in a cost-effective manner. Will contests: We pursue and defend against claims of undue influence, revoked wills, and other disputes that arise regarding the validity of a will. Spousal share/ child’s share: Spouses, and many times children, are entitled to a specific share of the estate regardless of what the will, trust, or other estate plan conveys. If you have been disinherited, or have not been left your fair share, we may be able to help you claim your entitled share of the estate. Probate Litigation: We analyze creditor claims against the estate and challenge any lawsuits filed against the estate. We work to resolve these matters while working to maximize the assets that remain in the estate for distribution. Estate Administration: As noted above, we guide you through the estate administration process from start to finish, completing notifications as required, paying outstanding bills, resolving estate disputes, filing estate taxes, distributing assets to loved ones, and closing the estate. Use of this website constitu‍‍‍tes agreement with this site's Full Legal Disclaimer.‍‍ Click to read it.